2 Girls Cafe opened in 2017 and has been delighting customers with tasty food, coffee and most importantly...cakes. They offer plum cake, chocolate and raspberry cake and mandarin and chocolate cake...just to name a few! Plus they are dedicated to introducing Vegan cakes, so everyone is catered for. Grab your favourite slice of cake, your 10% South London Club card discount and relax in this homely hot spot. With cakes that have caught the attention of Brockley locals, Delight House Cafe should be on the must-see list for every cake lover in South London. The perfect spot for when you want to grab a hot coffee, a slice of delicious cake and relax in a comfortable atmosphere. Which, let's face it, is everyday right? With 10% off of food and smoothies with your South London Club card, daily coffee and cake are made even easier! Boasting an outdoor garden, impressive interior design and a strong sense of community the moment you walk through the door, Fred's serves more than great cake. But, as this list is focusing on all things sweet and perfectly iced, let's talk more about that. You'll be spoilt for choice at Fred's, with all of the traditional favourites as well as some new and exciting flavours. Plus they serve a killer cup of coffee to wash your slice down with. Or two slices. As you've got 10% off with your South London Club card, we wouldn't blame you. The Roome are true masters of indulgence. Whether you want a classic slice or something adventurous and innovative, The Roome know how to do luxurious cakes. The simplistic yet inviting interior is the perfect spot to enjoy a slice of goodness. And once again, you've got 10% off with your South London Club card. A hub of French food and culture, Le Delice offer all sorts of French cuisine and are picturesquely located on the corner of Ladywell Road. Their cakes have garnered quite a reputation for being fresh, delish and authentically French. Le Delice have got cherry cake, Passion Fruit slices, Vegan chocolate cake, gluten-free cakes and divine patisseries, to name a few! Next time you want to treat yourself, head over there and enjoy 10% off cakes with your South London Club card. If you've got a group of cake-fanatics for friends who want to enjoy their treat in a stylish setting, then look no further. The Nightingale is for people who want some good food, fresh coffee and good service. Which is just about everyone. So gather up your friends, because if you spend over £10 you can get 10% off with your South London Club card. All of this eating cake around South London is all very well for our taste buds, but not so great for our health. Well, that's where Arapina Bakery comes in. They are dedicated to healthy baking, using ingredients as Mother Nature intended. Their cakes boast individual names and are as decadent as you'd expect. Does all this "healthy cake" business seem too good to be true? Well, what if we told you that you can also get a whopping 20% off with your South London Club card. It's all true, and waiting for you in Greenwich. So you've got some emails you want to catch up on, but you've also got a hankering for a slice of cake and a hot drink? 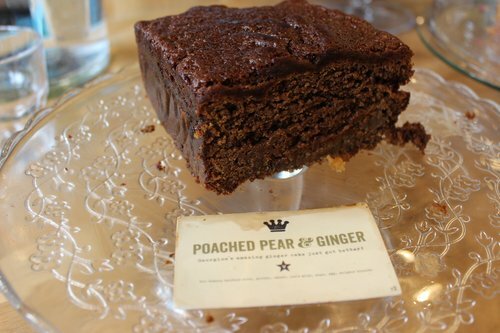 Well, head down to Piece of Cake Cafe in East Dulwich. They offer a mouth-watering selection of cakes including Almond and Orange, Apple and Cinnamon, Banoffee Pie, Chocolate and Coconut...need we go on? Well, if you insist. Chocolate fudge, Coffee and Walnut, Lemon Drizzle, Oreo, Vegan Chocolate Cake...oh, and 10% off with your South London Club card. Good Hope is a cafe that was opened to provide financial aid to the Jimmy Mizen Foundation, so you can enjoy your sweet treat and feel good about where your pennies are going. 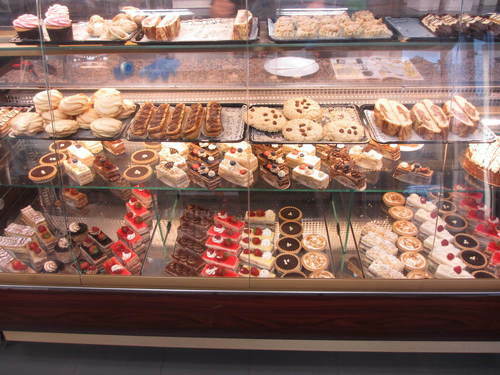 They make a variety of cakes fresh in-store including Lemon Loaves, Banoffee bites, Chocolate and Pear bites and Oreo Cupcakes. Plus, we're offering you a discount as sweet as their treats, with 10% off with your South London Club card. Older PostTooting: One Of The Best Neighbourhoods On The Planet?